Photographer Wang Jiuliang travels to more than 500 landfills, fearlessly documenting Beijing’s unholy cycle of consumption through poignant observational visits with the scavengers who live and work in the dumps. While China’s economic ascent commands global attention, less light has been shed upon the monumental problem of waste spawned by a burgeoning population, booming industry, and insatiable urban growth. 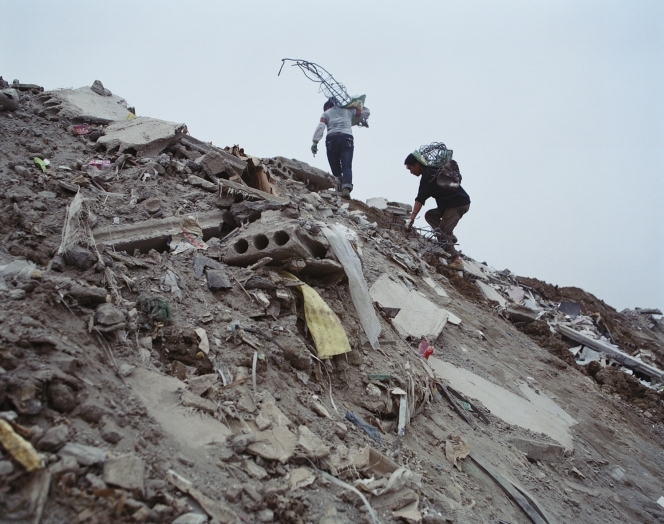 Award-winning photographer Wang Jiuliang focuses his lens upon the grim spectacle of waste, excrement, detritus, and rubble unceremoniously piled upon the land surrounding the China’s Olympic city, capital, and megalopolis, Beijing. Wang Jiuliang was born in Anqiu, in the Shandong Province of China in 1976. He works as a freelance photographer based in Beijing.